History lives here. Now you can too. For 150 years, a 50-acre tract of land near Southdown Plantation was home to plantation owners, mill workers, field workers and their families. Nurturing a symbiotic relationship with this historic sugarcane field, they lived, worked, played and raised their families on this beloved land. Welcome to Sugar Mill Olde Towne of Terrebonne Parish, a traditional neighborhood development designed to cultivate a lifestyle that is both fresh and timeless. A place where time can truly slow down, Sugar Mill Olde Towne allows you the serenity and luxury of experiencing a quality of life that you only imagined existed in times long past. Nestled in the heart of West Houma, Sugar Mill Olde Towne encourages a flavorful balance between work life and quality time. 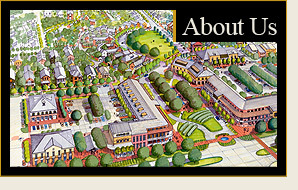 Your community will include a lush central park, wide sidewalks, tree-lined streets, beautiful landscaping, and a unique blend of charming Southern architecture. In this idyllic environment, feel free to wind down, breathe deeply and rejuvenate from the daily stresses of life through memorable times spent with family and friends. Sugar Mill Olde Towne is designed with a mix of several housing styles. From condominiums to manor homes, this neighborhood fits the lifestyles of all individuals. Various hometown retailers offer services to the neighborhood. Local businesses such as a day care facility, medical clinic, jeweler, florist, and café are conveniently within walking distance. True to the tenets of Southern hospitality, Sugar Mill Olde Towne is a place where your neighbors are not only friends, but also family. 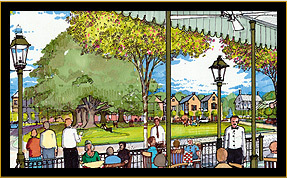 A place where you can lounge on your porch swing reading a good book, stroll to the park for an impromptu picnic, or start a walking club with your friends and neighbors, Sugar Mill Olde Towne offers you a unique vision for a home life uncluttered by the cares and worries of the outside world. Please contact us to begin your new life as part of our Sugar Mill Olde Towne Community. We are ready to welcome you home.